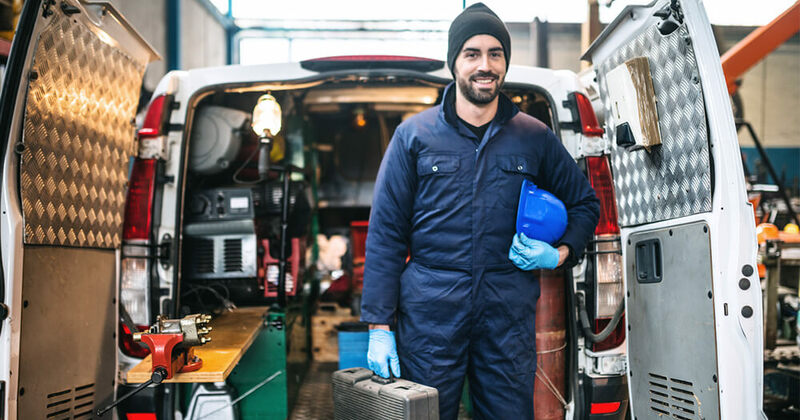 The Certificate II in Automotive Vocational Preparation is an entry-level qualification designed to build a foundation of basic knowledge for a career in the automotive industry. Open Colleges spoke to online trainer Martin Dockerty about how this course can get you skilled-up to win your dream job working with cars. Martin began his automotive career in the UK and progressed to working with big brands such as Jaguar and Land Rover. Here, he talks about getting into the automotive industry and finding your passion and skills by doing an online course. How is the Automotive Vocational Preparation course structured? The Certificate II in Automotive Vocational Preparation course has been designed to give students an introduction to the workings of a motor vehicle. We start off with what we call Fender to Fender, learning components from the front of the car to the back of the car. Then we look towards to the mechanical and electrical systems giving students a grounding and understanding of the basics of how a car works. This provides the students with a great understanding of the mechanical and electrical systems found on light vehicles. The next set of units evolves around working within the industry, including health, safety and communications within the workplace. 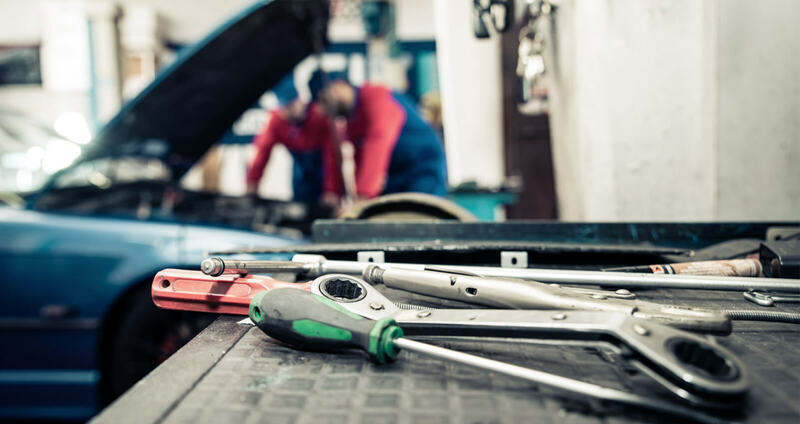 We begin by looking at some specific tasks that an everyday technician would perform such as repairs, warranty return, then servicing, brakes and cooling as well as battery testing and charging. These compounded units give Open Colleges students a great overview of what the role of a technician is, as well as a good introduction to the mechanic career path. This automotive pre-apprenticeship course is designed to give you a professional introduction to see whether you love the industry. A lot of people come into the automotive industry at a very early age, signing up for a four-year apprenticeship when they’re not too sure if that’s the career path they want to take. Some students have an interest in cars but they have no idea what goes on in an everyday workshop. After they’ve signed up and they start doing the training, there’s often a realisation of what actually takes place in a workshop. The day-to-day scope of work often surprises people. I’ve been in the automotive industry for over 30 years, and I’ve been training automotive apprentices for over 12 years. During this time, I’ve seen a lot of apprentices leave very early. 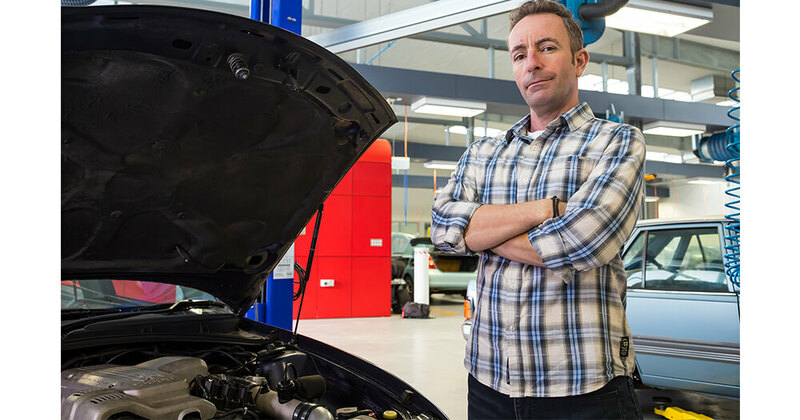 So, the Certificate II in Automotive Vocational Preparation is a good way to find out if you really like doing this kind of a job, and whether you really want to pursue a career within the automotive industry. It’s a very low-risk course, it includes a work placement and then you can get a taste of what it’s like to be an automotive technician. What is the work placement component to this course? 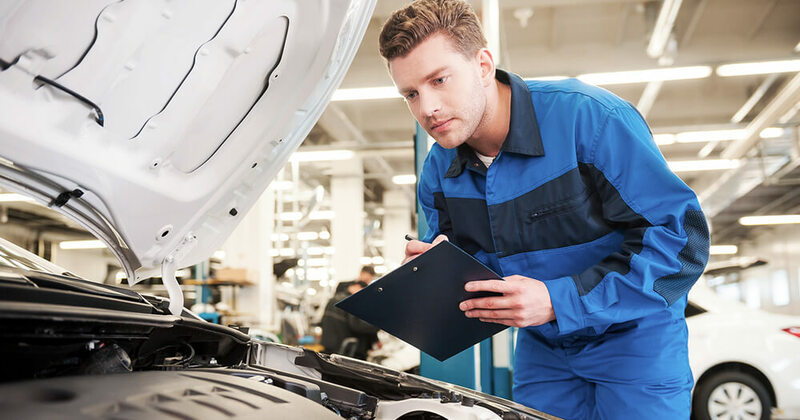 As well as being a self-paced online course, this vocational qualification does require an element of practical activity which needs to be completed under supervision in a suitable automotive workshop environment. The units have been designed as a series of projects which you’ll complete over a hundred hours within an approved work placement environment of their choice. There’s no cost involved in the work placement; students simply need to be able to work with a technician and participate in several tasks to complete the units. Along the way, there are projects with learning demonstrated by video evidence, filling out task sheets and other written tasks. The whole evidence package together qualifies students for the total units to graduate. On completion of this course, what type of roles or further study could a student move into? Once you complete this course, you’ll have six units that can be directly used as Recognition of Prior Learning to gain entry to a Cert III qualification, meaning the Certificate II is a really good pathway. However, just the Certificate II might be enough to get you a starter role; most workshops would sign you up for an apprenticeship. A mechanic apprenticeship is a four-year term, but after having completed the Certificate II, you would’ve completed six of those units already. In my opinion, this amounts to students having a broader insight into the industry and makes their training somewhat easier because you’re used to being in that kind of workshop environment. When you have experience working with qualified technicians, you have that pre-understanding of what the full-on apprenticeship training is going to be like, so it’s a lot easier. As trades and apprenticeships go, is working as a mechanic competitive? Absolutely, so having a pre-apprenticeship qualification shows that you’re keen. Every year, normally around just after Christmas time, most workshops start looking for apprentices and they’ll put advertisements out. They look for certain skills and qualities within young people. If you can go to a workshop and you’ve already completed a Cert II qualification, and you’ve done a work placement, then certainly you are going to be more attractive to an employer having that experience already. This accredited qualification also prepares students to undertake work in the broader automotive industry in job roles such as Trades Assistant, Vehicle Service Assistant, Automotive Service Assistant, Trainee Serviceperson, or Automotive Trainee. What type of jobs could you get working as a mechanic further down your career? Further down your career, you could end up working for race teams, rally teams, or in modification shops where they do monster cars! You could move into body works styling if you wanted to. Or you could go down the route which a lot of technicians aspire to which is electronics. Cars are becoming heavily based with electronics now, so becoming an auto-electrician is a secure career because there are very few good electricians out there. Also, it’s a very profitable career, because you specialised so you tend to get a lot more work than you would if you were a run-of-the-mill technician. The best clear path for anyone doing an automotive career is to specialise in a particular area, whether that’s electronic, body works, engine management, or something else. I previously worked at Jaguar and Land Rover where there are Master Technician roles for mechanics further along in their careers. The scope of your career path is almost limitless. 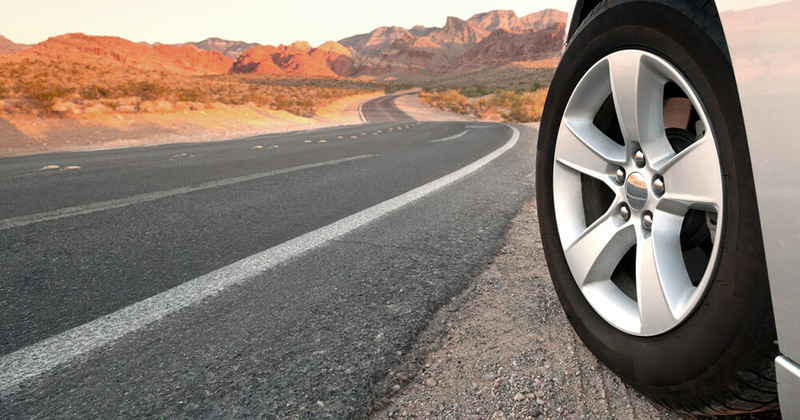 I worked in roadside breakdown recovery but the company specialised in roadside repairs so all team members were qualified technicians that could do dedicated repairs to customers’ vehicles. After that, I moved into training. I started teaching apprentices on various manufacturer program such as Citroen, Subaru, Vauxhall (which is Holden in Australia). And then I moved to Australia in 2011 and went back to manufacturer programs. I started working with Jaguar and Land Rover, running their apprenticeship program from 2013 until last year. Patience. I know it sounds a bit odd but patience is one trait that technicians learn to have because cars are “nuts and bolts”, and things never go the way you want them to go! If you can adopt some patience to your training, then it will make life easier for you. When you’re working under stress, or you’re working in a stressful situation, patience is one thing you need to have, especially as an apprentice. Attention to detail is also important as well as a commitment to hard work. It’s not an easy industry. It’s not glamorous. You go home at the end of the day tired, but it’s very rewarding because you’re fixing things, which is always personally rewarding. You get a problem, you work on it, you solve it. Ready to fast-track your skills to progress to an apprenticeship or a career in the automotive industry? Download your free course guide via the form below or learn more about the course here.